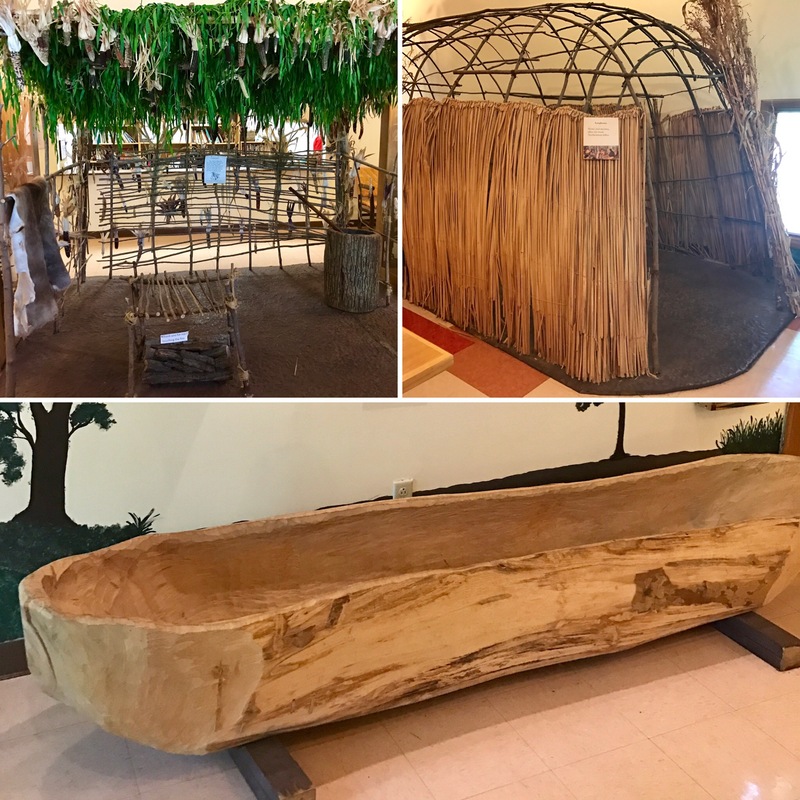 Visiting the Native American Museum at Dobbs Park without much research, we were pleasantly surprised by just how much information could be packed into the little building! Sitting just outside the entrance is an heirloom garden where the museum staff grow traditional vegetables and plants that are native to the area. Since it was surrounded by a fence, we were not sure if we were allowed in but you might ask if your littles are old enough not to trample. 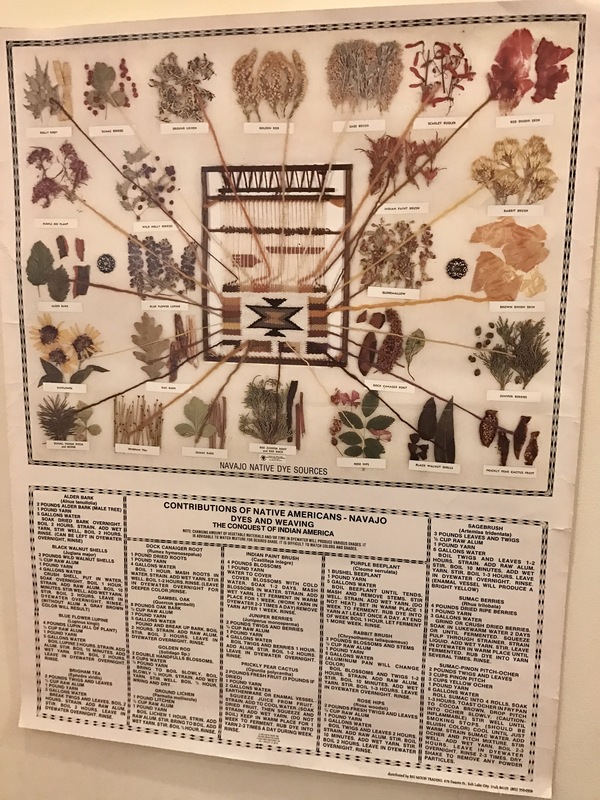 Hanging throughout the museum are diagrams and samples from various tribes including a great example of Navajo dyes. The display we saw had various plants, showed which colors they could make, and even went on to explain extracting the pigments for use. I loved how the plants were linked to a weaving loom diagram showing threads going in and coming out as what appears to be a blanket. Definitely a unique project! 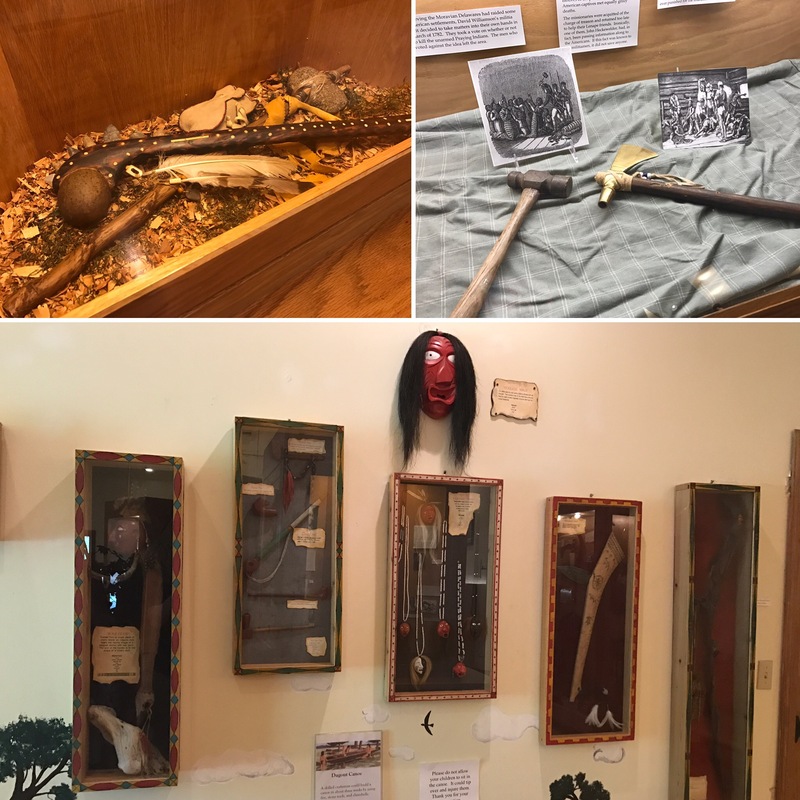 A few of the other displays we enjoyed were the edible wild plants poster, the Mexican quirts, specialized tools, and the Native American clothing. 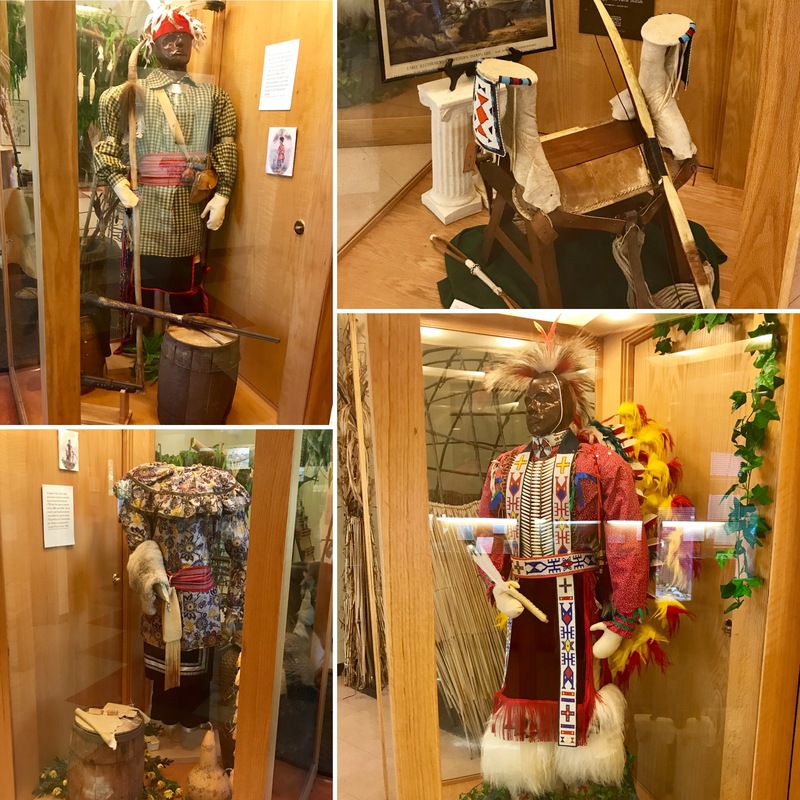 On loan to the museum were a shirt from after the English settlers began influencing the Natives, a Potawatomi ensemble, and even a full Powwow Regalia! The girls enjoyed hanging out in a longhouse which were used as both housing and meeting by many Northeaster tribes. They also asked a million questions about the cooking arbor so if I were giving advice, research the use of these before visiting. There was not much detail given on site and Google was definitely my friend for this one! Off in a separate area however, there was a poster showing Indian dwellings as they were found across America. That was neat and set us up with a great homeschooling unit study for Native American life! 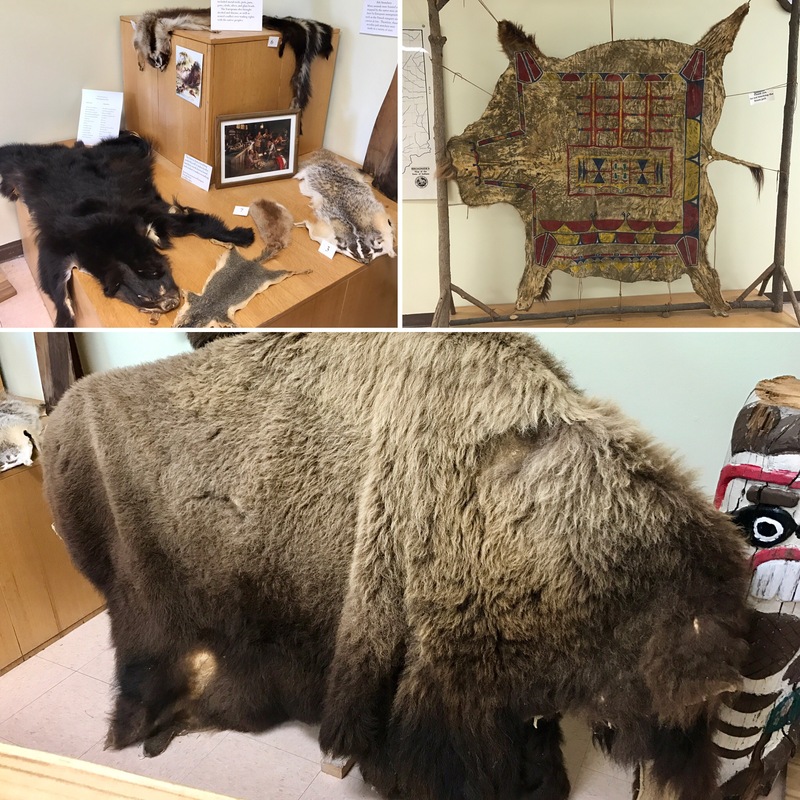 Along with more information about housing, we found more about Native American hunting habits, pelts from various animals they would have tracked and killed, and some examples of how these animals and their pelts were used. We also read about the fur trades and learned about how Europeans brought gifts but also conflict to the Indians they bartered with. 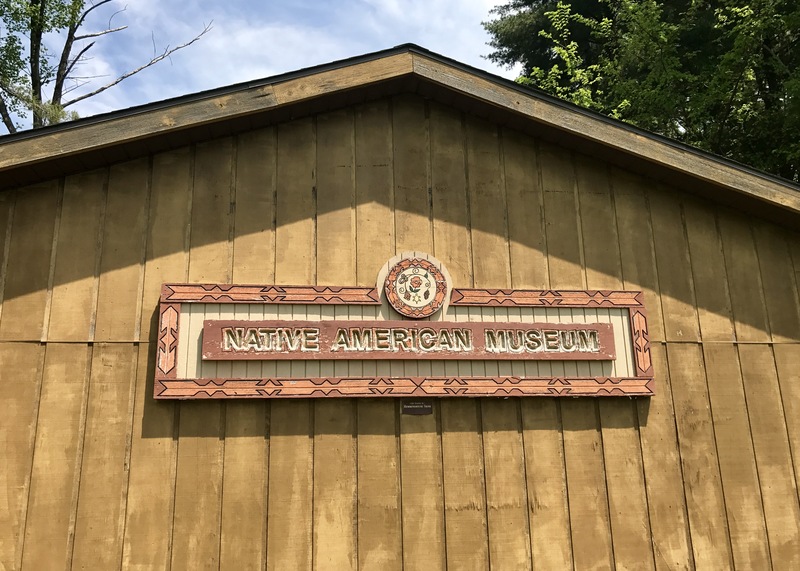 Want to visit the Native American Museum at Dobbs Park? *There are no admission costs.